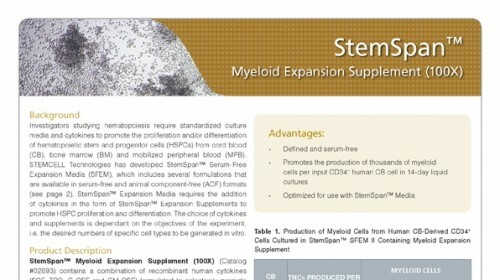 StemSpan™ Myeloid Expansion Supplement (100X) contains a combination of recombinant human cytokines (SCF, TPO, G-CSF and GM-CSF) formulated to selectively promote the expansion and granulocytic differentiation of CD34+ cells isolated from human cord blood (CB) or bone marrow samples. 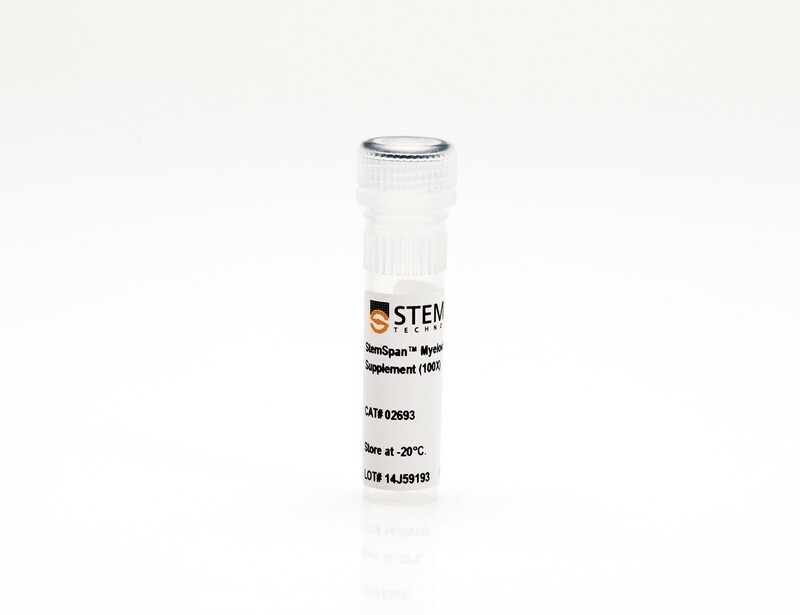 StemSpan™ Myeloid Expansion Supplement is intended for use in combination with StemSpan™ SFEM, SFEM II and -ACF serum-free expansion media, or any other media for culturing human hematopoietic cells. 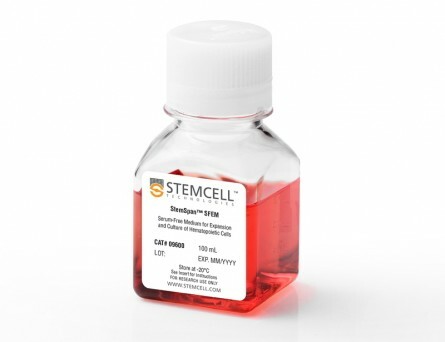 When added to serum-free medium, StemSpan™ Myeloid Expansion Supplement typically promotes the production of thousands of CD15+ granulocytes per input CD34+ cell in 14-day liquid cultures initiated with CD34+ human CB cells. See data tab for more details. 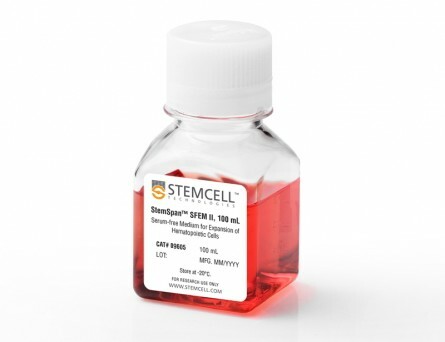 • Promotes the production of thousands of CD15+ granulocytes per input CD34+ human CB cell in 14-day liquid cultures. • Supplied as a 100X concentrate. After thawing and mixing, the tube contents can be added directly to any hematopoietic cell expansion medium of choice. 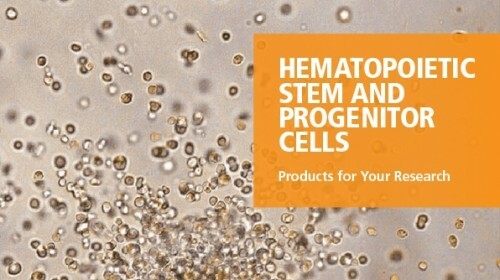 Flow cytometry dot plots for 14-day cultures of human BM-derived CD34+ cells in StemSpan™ SFEM II containing Myeloid Expansion Supplement showing expression of the HSPC marker CD34, and pan-hematopoietic marker CD45 (A) before and (B) after 14 days of culture, and expression of myeloid markers CD13 and CD15 (C) after 14 days of culture. 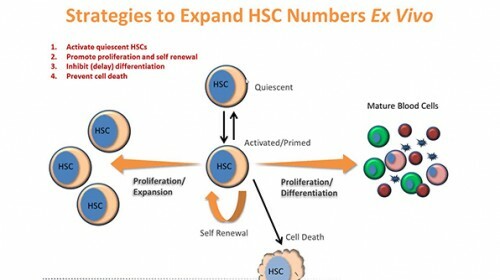 The frequency of CD34+ cells declined from 83% before culture to ~1% after 14 days. 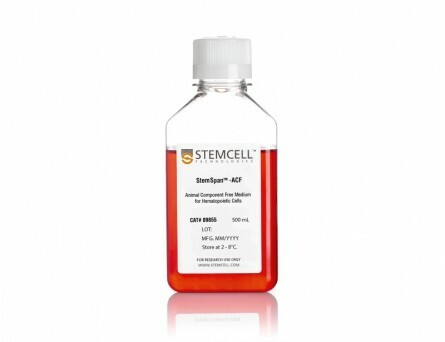 In parallel, myeloid CD13+CD15+ cells gradually accumulated from <10% on day 0 to 46% by day 14. 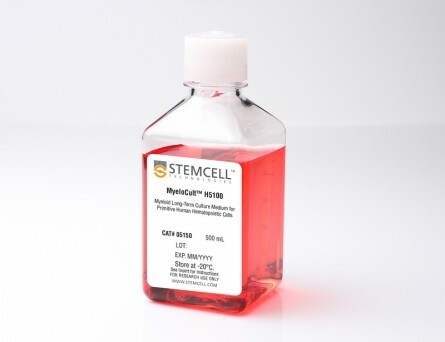 The frequency of CD14+ cells after culture was low (typically <10%, see Table 1). 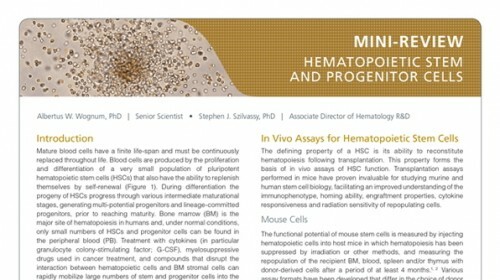 Number of total nucleated cells (TNCs) produced per input human CB-derived CD34+ cell from 14 different donors and percentage of cells positive for myeloid markers CD13, CD14 and CD15 produced after 14 days of culture in SFEM II containing Myeloid Expansion Supplement. 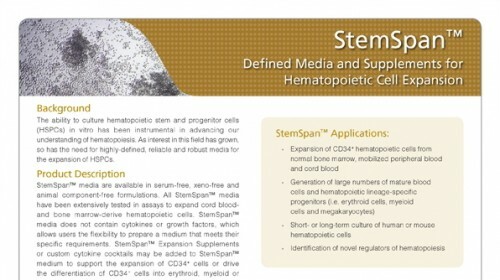 Best expansion was obtained in SFEM II, but myeloid cell expansion may also be obtained in SFEM and ACF media. *95% confidence limits (CL), the range within which 95% of the results will typically fall.